Hello Darlings, Last week, I attended the annual Power Ball: Quarter Life Crisis VIP reception and party at The Harbourfront Centre, hosted by The Power Plant, Grey Goose and the soon-to-open Soho House. The Power Plant is celebrating its 25th anniversary, thus the quarter life crisis birthday bash theme. 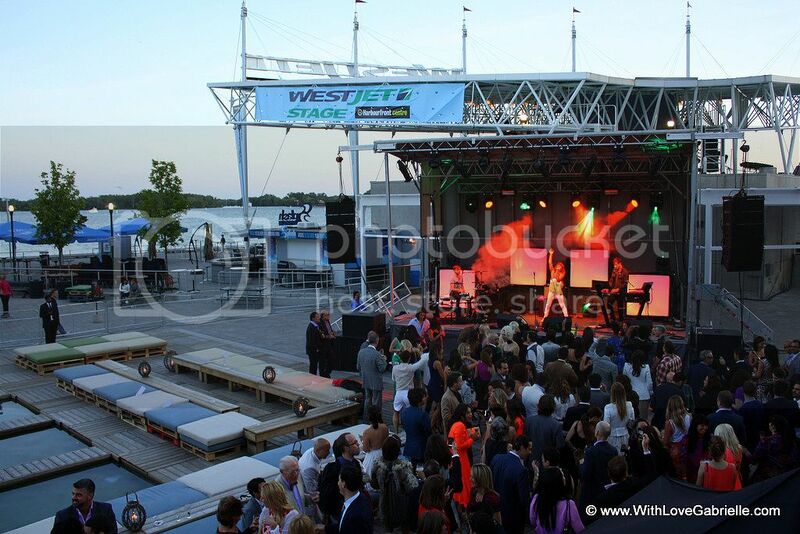 Power Ball is an annual fundraiser event that takes place at The Power Plant on the Toronto waterfront. Since 1999, Power Ball has set the standard for all summer parties in Toronto, and also provides vital funding to the exhibition and public programs at The Power Plant. For London-based Soho House, Power Ball: Quarter-Life Crisis also served as an unofficial launch before opening their first Toronto house during the Toronto International Film Festival in September 2012. The reception featured yummy cocktails made with Grey Goose vodka including the signature Power Ball High Ball — apple juice and freshly squeezed white grapefruit juice topped with homemade ginger syrup — which was my favorite of the evening. 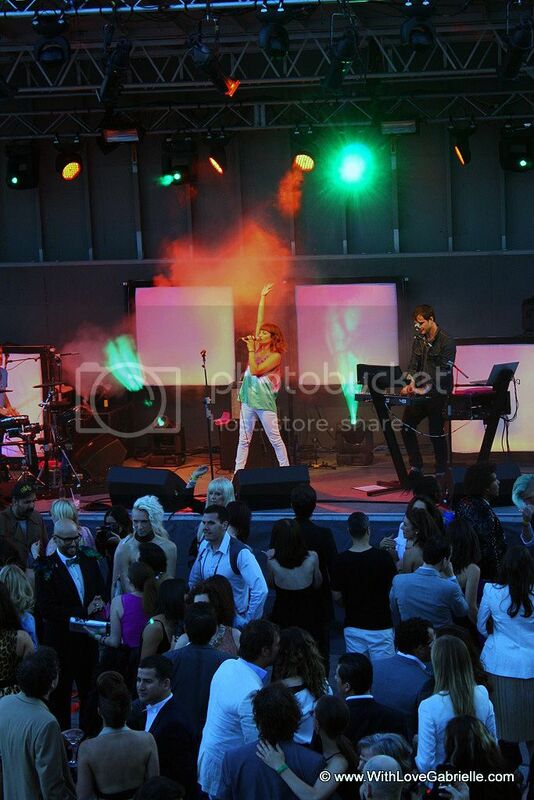 Guest were also treated to a fabulous dusk performance by Toronto's Dragonette on an outdoor stage. The event followed my University of Toronto graduation and dinner with family and friends and was cherry on top of an amazing day! 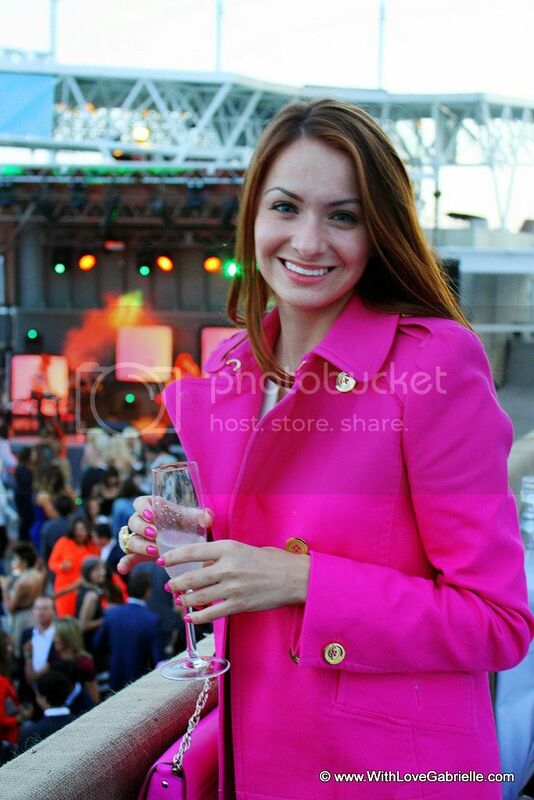 The VIP reception had a delightful ambiance filled with many Toronto A-listers, and was the highlight of my evening. But then again, with VIP ticket costing $400 I would expect nothing less. The Power Ball Party environment was achieved under creative direction of local Philippe Blanchard, Sarah Febbraro, Jesse Harris, Marisa Hoicka, and Jesi the Elder. 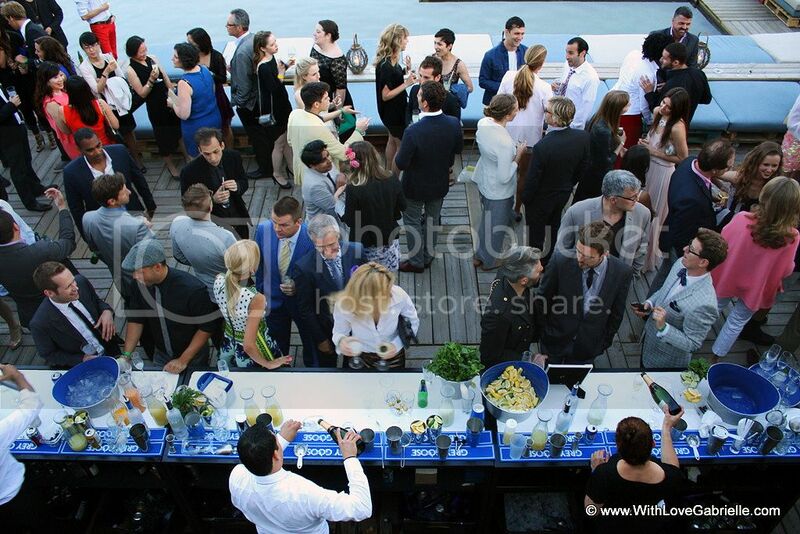 Toronto restaurateur Marc Thuet took over the lakeside outdoor patio for a culinary spectacle. Presenting sponsor Huge Boss showcased an amazing 3D theater with footage from their show in Beijing. The Power Ball party tickets were $165 and included all night open bar. In my opinion, Power Ball is the one must-attend party in Toronto each year, and well worth the money if you're going to indulge in the open bar. Plus, the money raised benefits a good cause, The Power Plant!